You can get $20 if you buy $1000 T&T gift card before Feb 7, which is 2% return. This is not a hot deal, but still decent if you shop a lot at T&T. It used to be $50 long time ago, then $30 and now $20... But at least, it is an easy way to meet credit card minimum spending requirement (especially, if you can get extra cash back on Grocery spending from that credit card). 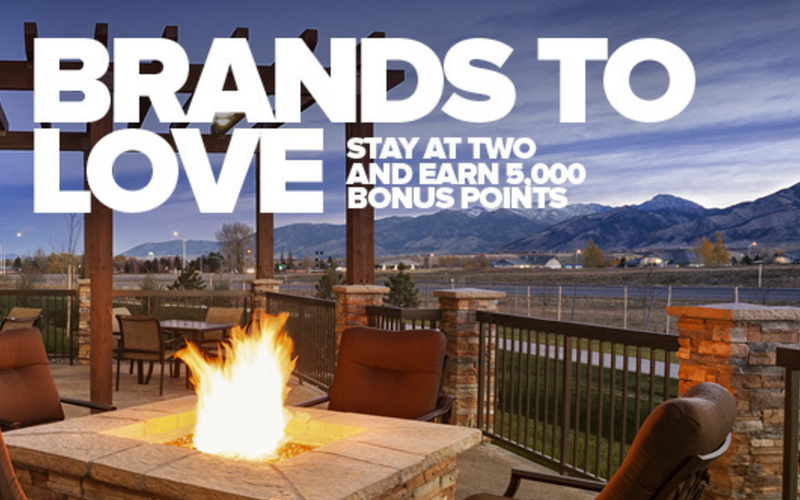 Point redemption amounts for IHG Reward Nights at approximately 400 hotels will change, starting February 17, 2016. Please take a look at the chart from link above for hotels where redemption amounts will change 5,000-10,000 points. Note that some point amounts are increasing, while others are decreasing. If your plan to redeem rewards nights in Canada the good news is more hotels are going down then up. Out of 11 hotels changing in Canada, 7 of them are going down by 5,000 points. One bad news is we see the introduction of new 55,000 and 60,000 point levels. This is not a great news for those higher end hotels around the world (including some famous hotels in Paris, Las Vegas, Bora Bora, New York, Hong Kong etc). 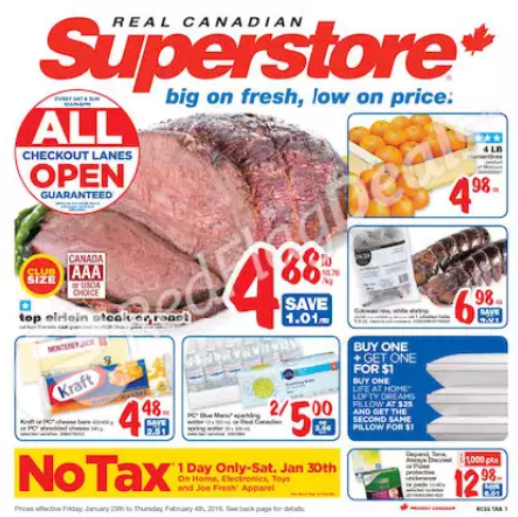 NO TAX at Superstore on January 30th, 2016 (1 Day Only). Please check their website for recent grocery deals for that day. 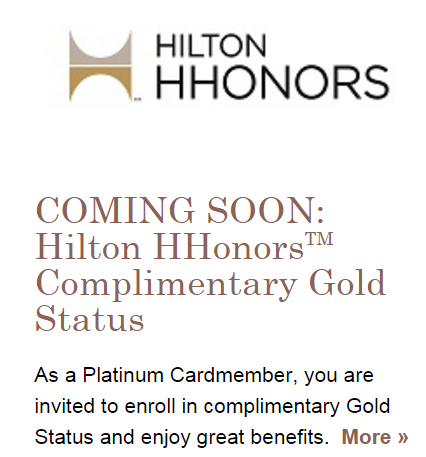 As a Platinum cardmember, your Platinum Card automatically gives you the privileges of Gold Preferred membership in the Starwood Preferred Guest program. At Fairmont Hotels & Resorts, after charging five nights to your Platinum Card, you can become eligible for Fairmont President's Club Platinum Membership. Card members can receive Platinum membership with Le Club Accorhotels. 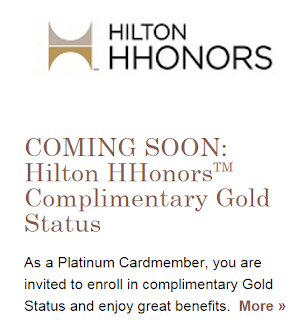 A good news for all Platinum cardmembers: You will get complimentary HHonors Gold Elite status very soon. Complimentary standard in-room and lobby WiFi at participating properties when you book direct at Hilton.com or call Platinum Card Service from Amex Canada Inc.
Our friends in USA already enjoy this benefit. Finally, this comes to Canada. BTW, the Canadian version of AmEx Platinum annual fee is $699. New Platinum Cardmembers can earn 50,000 Bonus Membership Rewards points by making $1,000 in purchases in the first three months of Cardmembership. If you apply through a referral link, then you can get 60,000 Bonus Membership Rewards points with $1,000 in purchases in the first three months. If you want to get a Platinum referral link, please don't hesitate to send us an email (canadianrewards@gmail.com). We will be very happy to assist you (we will receive referral bonus from AmEx, too). Thanks. You will get 2.5% interest until Mar 31, 2016 on new deposits of up to $500,000 (per Applicable Account Type) to your Tangerine Savings Account. This rate will also apply to RSP Savings Accounts and Tax-Free Savings Accounts. Note: To receive the Offer, Tangerine Clients must have received the Offer via email directly from the Bank; and/or received a notification that they are eligible to participate in the Offer when they log in on the Bank's website. For myself, I got a notification when I tried to log in to my online account. You can receive one-time bonus of 100 Aeroplan mile, if you subscribe to Aeroplan Text Message. Member must both subscribe to and confirm that they want to receive Aeroplan Text Messages by texting their Aeroplan Number to short code 27767 from their mobile phone between December 7th, 2015, and February 29th, 2016. Aeroplan Text messages are free and no extra charges will be billed to your account. It's the best way to get up‑to‑the‑minute offers, the latest program news, and exclusive opportunities to earn at your fingertips. Aeroplan says that it will send you 2-3 messages per month. This is a good opportunity, if your Aeroplan miles is about to expired. Note: In order to be awarded the bonus miles, members must be subscribed to receive Aeroplan Text Messages at the time of crediting. So, if you don't like the Aeroplan Text Message, you can unsubscribe it after you get the 100 Aeroplan miles. To stop receiving Aeroplan Text Messages, text STOP to 27767. This offer applies to the following eligible cards: CIBC Dividend Visa Infinite Card and CIBC Dividend Platinum Visa Card. If you apply and are approved for a new eligible card between January 18 and March 31, 2016, CIBC will rebate the annual fee for you (the primary cardholder) and up to three authorized users added at the time of the application. And, you will get 4% cash back for all purchases posted to your account for the first 6 months (or $5000 in total purchases). This is a great offer, and I should admit that these 2 credit cards are both very good cards too. The CIBC Dividend Visa Infinite is somehow similar to the Scotiabank Momentum Visa Infinite. After the first 6 months, the cash back ratio will return to the original terms. Earn 4% cash back on purchases (excluding returns) at merchants classified by the credit card network as grocery stores or service stations/automated gas dispensers. Earn 2% cash back on purchases (excluding returns) at merchants identified as Tim Hortons or TELUS merchants by the merchant payment terminal. Note: The 4% and 2% cash back offers are only available on the first $80,000 in net annual card purchases (meaning all card purchases by all cardholders, at any type of merchant) or $20,000 on gas, grocery, Tim Hortons or TELUS purchases on your account, whichever comes first; after that, net card purchases at all merchants, including grocery stores, service stations/automatic gas dispensers, Tim Hortons or TELUS will earn cash back at the regular rate of 1%. The $80,000 limit and the $20,000 limit will reset to zero after the day your December statement is printed. Between January 18 and March 31, 2016, you can earn 5,000 bonus Carlson Gold Points when you stay at two different Carlson Rezidor brands anywhere in the world. Registration is needed. 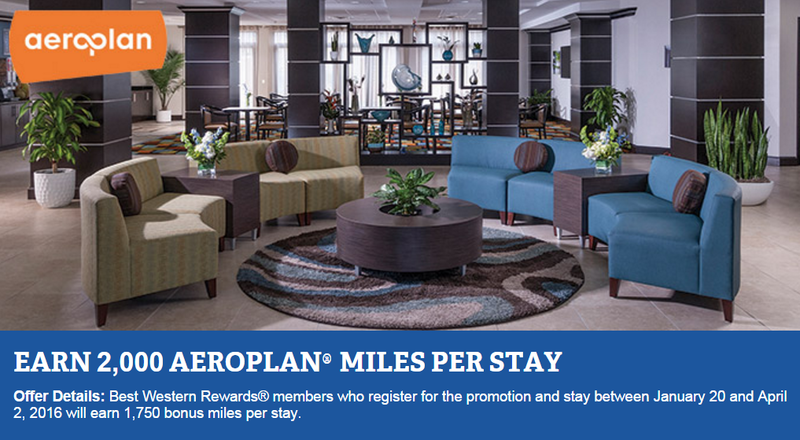 This is easy bonus for anyone that already planned stays at Carlson hotels. 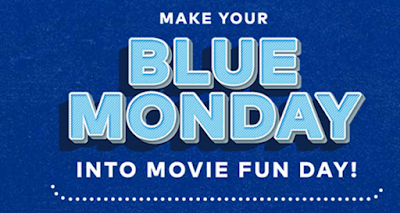 You can redeem 500 SCENE points for any (General/Senior/Child) admission ticket for January 18th (BLUE MONDAY) showtimes at any Cineplex theatre. This offer is valid for films in 3D, IMAX, UltraAVX, and VIP [age of majority required] auditoriums, and films with D-BOX or reserved seating. 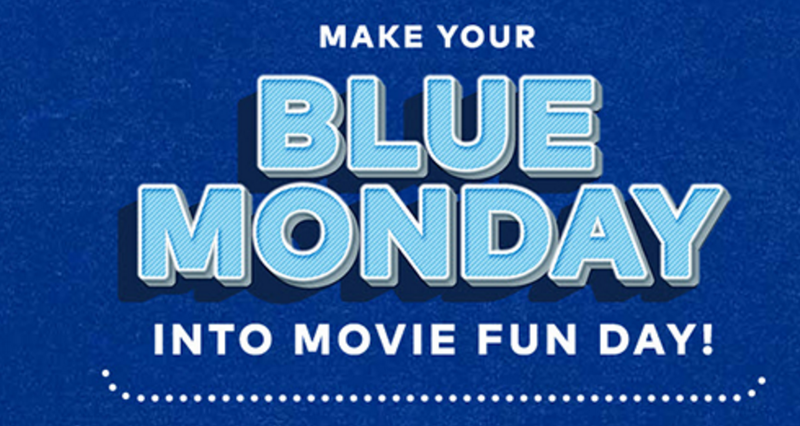 Promotion applies to all tickets purchased in-theatre, online or on the mobile app. No time extensions or substitutions. Not valid in conjunction with any offers, is non-refundable, is not redeemable for cash and is not for re-sale. I just got an email from Air Canada today. If you fly in a Flex fare or above within North American, you can earn up to 25,000 Bonus Aeroplan Miles. Register and book by Mar 15 for travel by Apr 30, 2016. You have to complete at least three segments to get a bonus of 1,500 miles and complete 21 segments the get the full bonus. It is not easy to travel that much before Apr 30. And this offer is only valid on new booking made after Jan 14. EQ Bank is currently offering 3% everyday interest for its Savings Plus Account. This is the highest interest being paid by any Canadian banks right now. So, If you want, you can enjoy free checks from PC Financial, free email transfer from Tangerine, and 3% interest from EQ Bank. Why do you still need those big banks. You can get 25% extra bonus when you transfer your AmEx MR to BA Avios before Mar 28, 2016. So, during the promotion period, you can transfer 1000 MR to 1250 Avios, which is not a bad deal. If you don't have AmEx MR points, you can applied AmEx Gold Rewards (FYF, 25000 welcome MR points) Card or AmEx Platinum Card ($699 annual fee, 50000 welcome MR points or 60000 welcome MR points with a referral link). If you need AmEx referral link for AmEx Platinum Card, please send me an email: canadianrewards@gmail.com. Thanks. You will earn 25000 Aeroplan welcome bonus and 50% annual fee rebate ($60) if you apply TD Aeroplan Visa Infinite credit card before Feb 29, 2016. Keep your account active for 90 days, and you can get another 10000 Aeroplan miles. You can compare them and choose the best one for you. This is a really bad news. Effective Jan 11, 2016, AmEx Gold Rewards Card is no longer eligible for a referral bonus (10000 MR points). You can still refer the Card to your friends and family but you will not earn a referral bonus for any approved referral. The 25000 MR points welcome bonus and FYF are still the same as before. If you still want this card, you can apply it through GCR and get $50 bonus. Besides this card, AmEx AeroplanPlus Gold card is no longer offering referral bonus as well. But, you can still get referral bonus from AmEx SPG, SimplyCash, Platinum etc (subject to change any time). You will receive a welcome bonus of 50000 TD points (keep the account open for at least 90 days), when you get the TD First Class Travel Visa Infinite Card by Feb 29, 2016. Plus, you will enjoy a 50% Annual Fee Rebate for the first year. The 50,000 bonus points are worth $250 in travel money. With a 50% rebate you have to pay $60 in the first year. But, you can apply this credit card through GreatCanadianRebates.ca, and get $60 Cash Back rebate. Therefore, it is same as FYF with $250 bonus. If you are a client of TD All-inclusive Account, you don't need to pay the 50% Annual fee, and it will bring the total welcome bonus to $310. You can get up to $150 bonus if you open BMO Cash Back World Elite MC before Apr 30, 2016. $50 CashBack bonus is only available to new BMO CashBack MasterCard cardholders and will be applied to your account within 45 days after your first card purchase and not be awarded to current or former cardholders who reinstate a closed account or who open a new account. An additional $100 CashBack bonus will be awarded when you spend $3,000 in net card purchases in the first three months from the account open date and will be applied to your account within sixty days after qualifying. Note: With this credit card, you can get 1.75% cash back on all card purchase. If you have the BMO Premium Plan, your annual fee of this credit card will be waived. If you cancel your card within ninety days of opening your account, the Bonus points will be cancelled. There is a good news for students living in Alberta. You can get $150 bonus when you open a new Students First Account (ATB Financial) between January 1 and 31, 2016. To get the bonus, you need to set up recurring direct income deposit, with the first deposit by March 31, 2016. Then, your $150 bonus will be deposited to your account between May 1 and 15, 2016. The ATB Students First Account is pretty good for students: no monthly fee, unlimited transactions, two free Interac e-Transfers a month and no fee overdraft protection (unless used). If you’re an existing ATB personal chequing account holder, you can get $50 for every successful Students First Account friend referral between January 1 and 31, 2016 (Once they meet the requirements). You need to make sure your friend tells ATB that they were referred by you when they open their new ATB account. Note: You must be 18 years of age or older to open the Students First Account. This offer is valid until January 14th 2016 for stays from January 15th 2016 to June 30th 2016 on all AccorHotels websites. 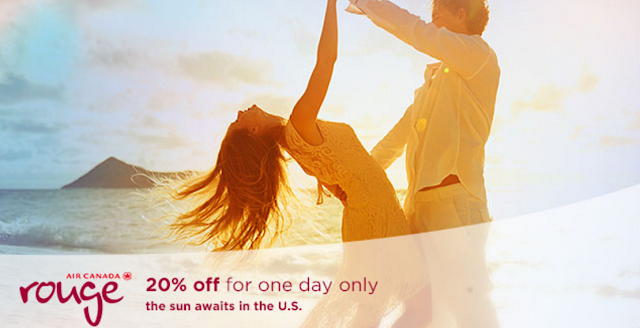 You can save up to 40% off a minimum 4 night stay at Novotel Hotels in Canada, Mexico and Panama. If you want to check other areas, please read the above link. Note: Blackout dates apply. Offer subject to hotel's sales conditions. Full deposit is not refundable even if the booking is cancelled or modified. Full amount of stay is payable in advance by credit card at booking time. No change or cancellation can be made after booking. You will earn 15000 Aeroplan welcome bonus and First Year Free if you apply TD Aeroplan Visa Infinite credit card before Feb 29, 2016. Bonus miles will be awarded on first purchase. I should say that this offer is so so (we have seen better offer from TD). But if you are still interested in this card, you can apply it through GCR and get another $50 bonus. If you don't have a GCR account, you can use our referral link (https://www.greatcanadianrebates.ca/Register/126795/ ), with which you can get extra $2.5 from GCR (and we can get bonus too. Our email is: canadianrewards@gmail.com). We appreciate you using our links where possible.